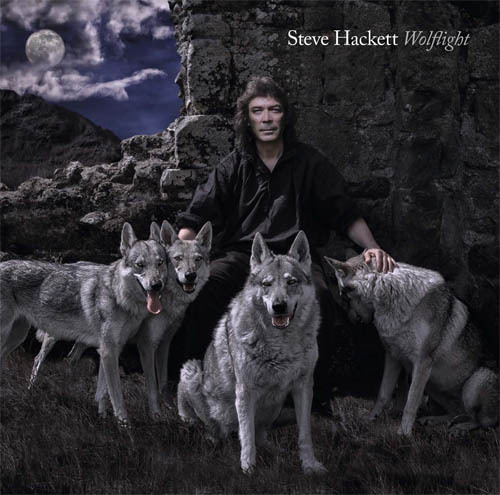 People have wondered if I really was with wolves on the cover picture for the forthcoming album Wolflight... The answer is - Yes I was! 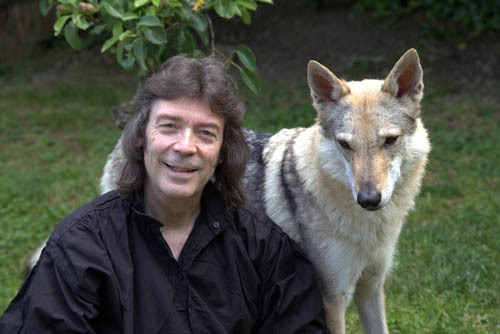 On a day off on tour in Italy last summer, our photographer friends Maurizio and Angéla took Jo and me to a place in the hills just outside Rome, where a guy they know reared wolves. 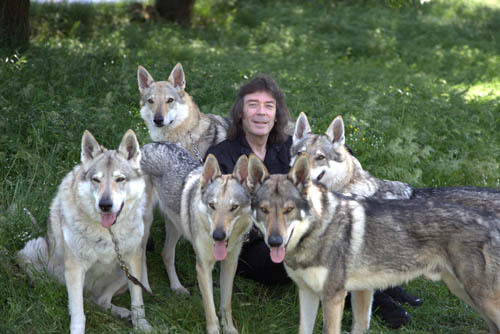 I felt pretty nervous at first when on entering a large grassy area we were confronted by several full sized wolves. But the owner reassured me that because they saw him as the Alpha male and he was clearly fine with us, I would not be harmed. Apparently it would not have been so safe if he had not been there! I gingerly reached out to the wolf pack, and each one responded in a friendly way. They didn't even jump up. They were just fine with me and happily responded to my touch. Then came the big test when I approached their tiny cubs. 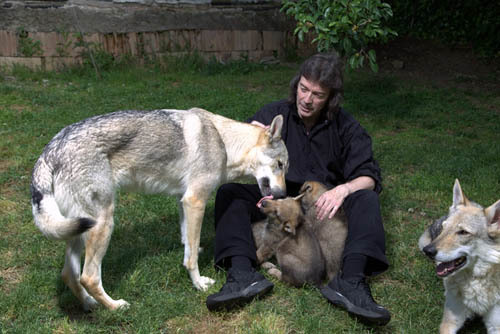 Amazingly the wolves didn't feel threatened when I picked up a cub and started to play with them. In fact, I had the feeling they were proud that I was so charmed by their little brood. 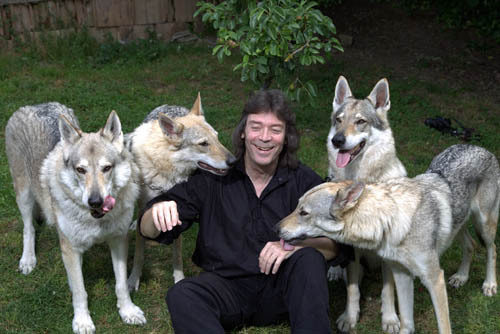 It was even possible to feed the wolves without them biting my hand. The next episode was equally fascinating. We followed as five adult wolves were driven to a nearby ridge interspersed by rocky ruins. Walking up a path towards this place, I noticed that passers by all looked surprised and nervous at the sight of five wolves being taken out for a walk with just a couple of chains! Once up amongst the ruins, we figured out the best spot to take the photo which is being used for the album cover. The main difference between the original photo and the cover is that it was taken in daylight instead of night. 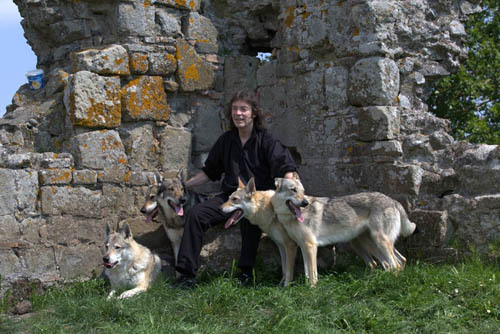 The ruin location and the wolves with me are all for real. It was an extraordinary day which I'll always remember. 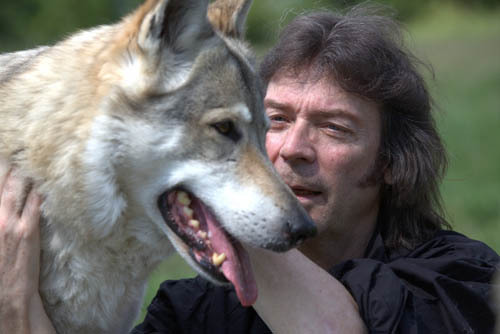 My respect for those wolves and the joy of being invited into their world will remain with me forever. 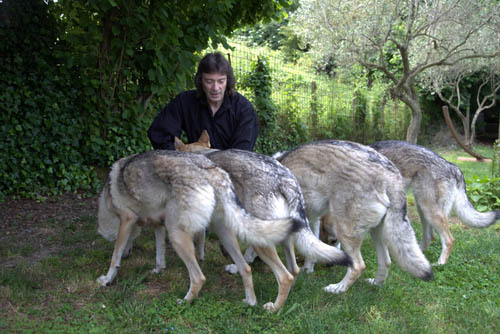 My special thanks to Angéla, Maurizio and their wolf-keeper friends, Massimo Zerboni and Roberta Petralia.